My Mom-Friday: Is My Hair Still Straight? Is My Hair Still Straight? After 6 years, she finally agreed to get a trim at the salon... and she's loving her straight locks! 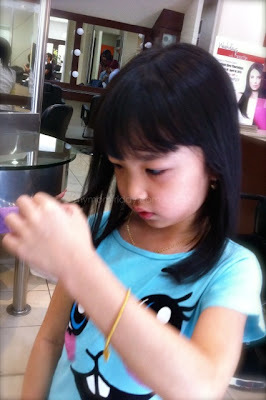 Too much, I believe, 'coz she kept on asking me non-stop, if her hair is still straight ever since we left the salon this morning! This is what I posted on my Instagram. 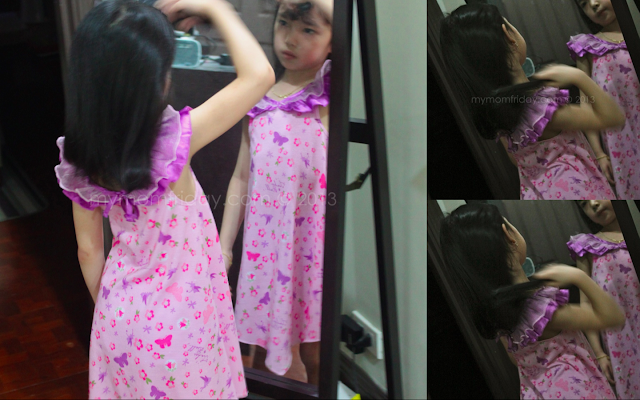 At first, I was pleased and amused by her reaction and satisfaction with her newly styled hair. Now, I wish this obsession would stop before she takes a bath and realize her hair will not be the same as when she walked out of the parlor. Remember my post about how to cut kids' hair here? You can see their hair evolution in that post. I cut my kids' hair since they turned 1. 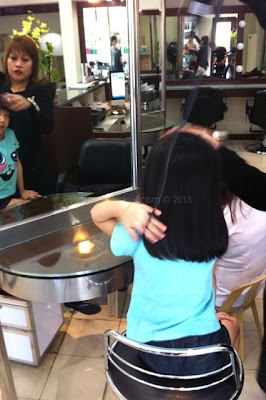 The boy had his first barber's visit before he turned 4, but this girl... it's another story. I cut her first bob here. She promised she'll go to the salon after she turns 6. She celebrated her birthday last January 8 and a week after that, she still backed out when I brought her to my hair stylist. 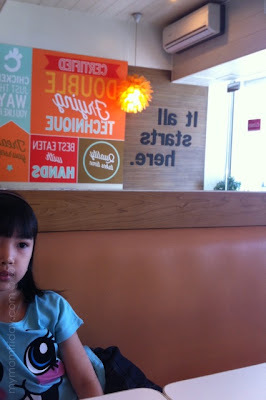 Today is their moving-up day or culminating ceremony. We already discussed her salon visit last week, so that she'll have nice hair on her last day of preschool. She agreed. 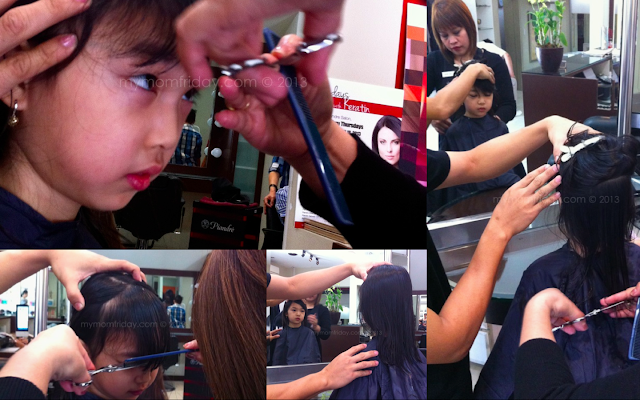 And here we are at our neighborhood salon for that long overdue trim. It's not even a major haircut! We talked about what to expect when we get there, and promised her that it will only be quick, since she doesn't have that much hair to begin with. I also promised only 1 inch will be trimmed off. It was quick, fun, with a few surprises in between. As you can see in her reactions here, the girl had a very pleasant experience. After the speedy blow-dry, she can't help touching her smooth, tamed hair. The stylist quickly ran her hair through a straightening iron to finish the look, which left her hair even more glossy, soft, and straight. To say that she's happy with her hair is an understatement. 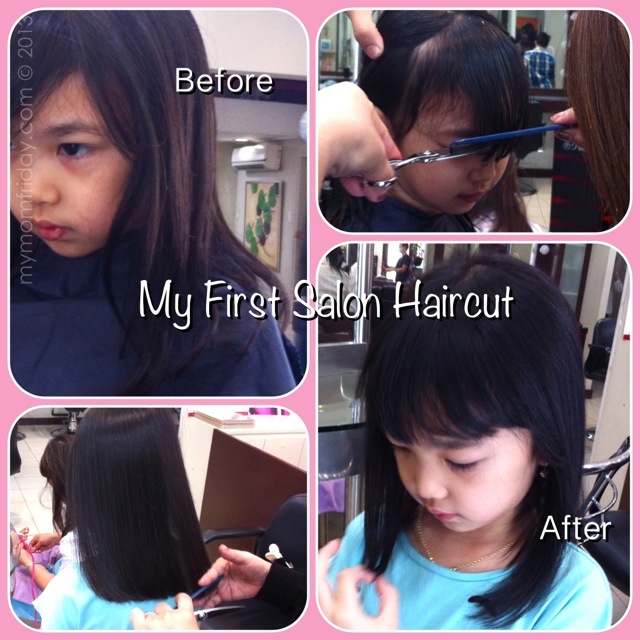 "Mommy, I had fun at the salon... I like my hair, it's straight!" "I don't need to tie my hair na, coz it's straight, I like it mommy, it's nice... is it still straight?" Me: Ok... yes, it's still straight. 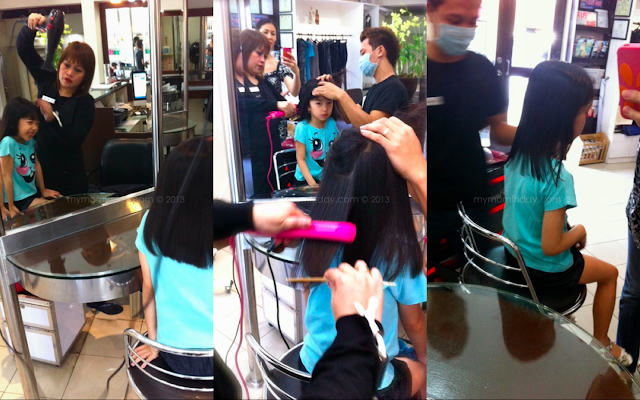 "Who else have straight hair in the family? How about a-hia?" Me: Yes, but sometimes, it gets wavy. 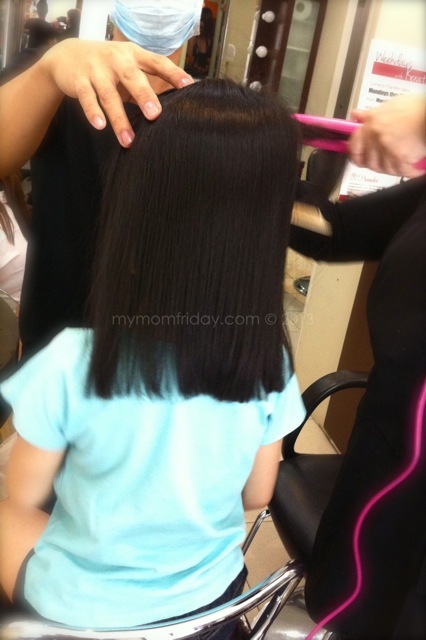 "How long will it be straight mommy?" "Cool! Ok... I like it!" "Mommy, is it still straight?" "Mommy, can you look if it's still straight?" "You're not looking! I lied down on the bed kasi eh, is it straight pa?" Me: Diba, I told you it will be straight the whole day? "Mommy, from now on, I will fix my own hair... everyday." "Mommy, touch it, it's so smooth." "Can you make it the same tomorrow? You have all the materials to copy, right?" "Can you fix my hair before dinner? Can you do it exactly the same?" "I'm sooo enjoying straight hair!" What will I tell her tomorrow??? 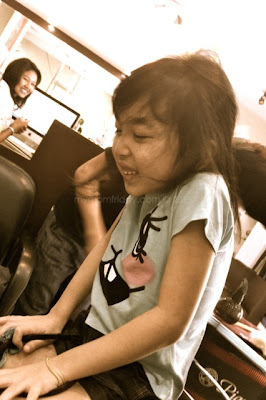 Have you had vanity episodes from your kids? Tell me about it.